Pre-Owned Car Disclosure: Subject to prior sale. Quoted price subject to change without notice to correct errors or omissions. Tax, Tag Registration fees NOT included. Advertised price includes Delivery and Handling fee of $399.00. Visit TSG Auto.com for details. Standard features are based upon trim level. Accessories, options, and color may vary. All prices, specifications and availability subject to change without notice. Contact TSGauto.com for the most current information. Special APR with Approved Credit or on Approved Credit. Disclaimer: We will make our best efforts that posted prices are always accurate however, we are not responsible for any typographical or other errors that may appear on the site. If the posted price for a vehicle or service is incorrect due to a typographical or other error, such as data transmission, etc., this Dealership is only responsible for the correct price, which will be provided as soon as we are made aware of such error(s). Ultimately, it is your responsibility to ensure that the information is 100% accurate with the Dealer. PLEASE NOTE: THOSE VEHICLES THAT MEET THE QUALIFICATIONS WILL BE PROVIDED WITH A FREE, NO CHARGE, 3YEAR/100K LIMITED CERTIFICATION WHEN PURCHASED AT THE PRICE LISTED ON THE INTERNET. 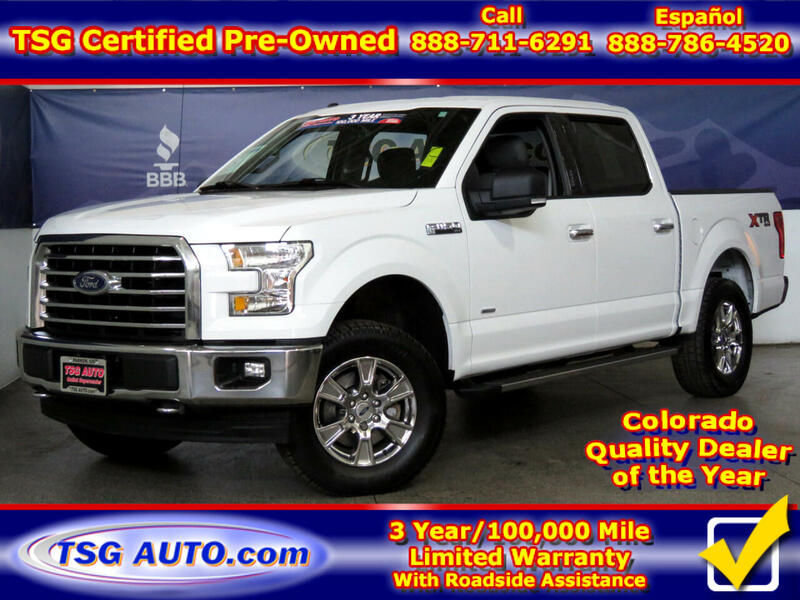 Message: Thought you might be interested in this 2017 Ford F-150. *After submiting this form you will be contacted by our sales team with todays special internet price.